Worked from the rare Murmansk white goose down in Russia, which faces extreme winter temperatures, the 2016 Millésime duvet guarantees a thermoregulated warmth and incomparable softness. In 2016, Dumas Paris chose a white new goose down from the cold polar region of Murmansk in Russia. 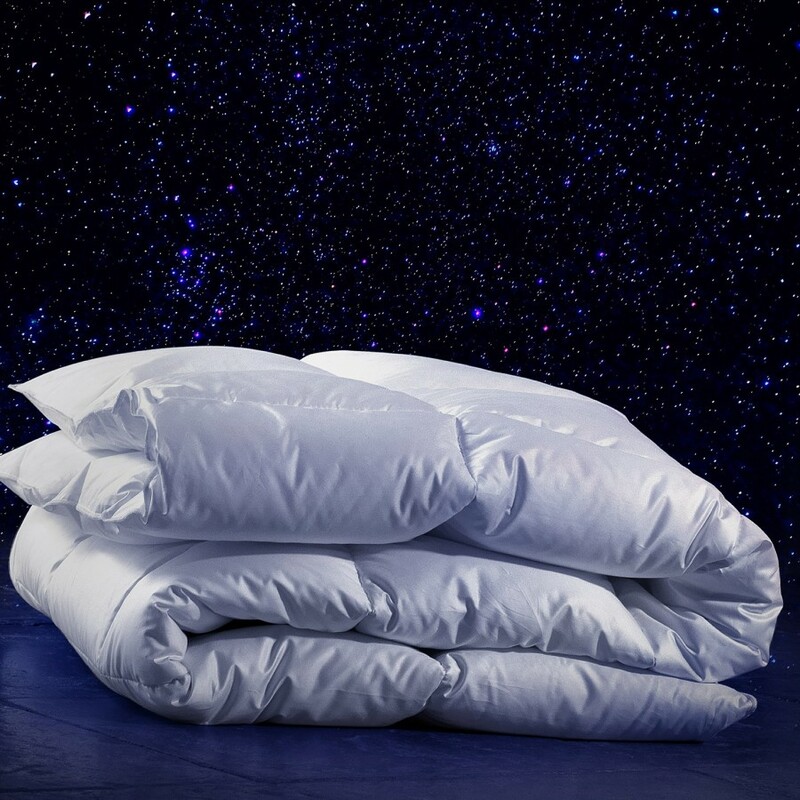 In a silky down-proof satined cotton, these fluffy goose down flakes of an exceptional swelling and incomparable softness, provide your sleep a warm and thermoregulated heat throughout the year. Composition The Arctic white goose down Millésime duvet is composed with 90% white new goose down, 10% white new original goose feathers of certified Murmansk region in Russia. The envelope is a down-proof cotton satin, 170 threads/cm². This Millésime is crafted with edge to edge tile stitching and a satin stitch finish to ensure optimal durability. Packaging Your Murmansk duvet will be delivered in a Dumas Paris canvas bag for protection and storage during the summer times. The Dumas Paris bag can also accompany your leisure and travel. Tailor-made and embroidery The 2016 Millésime duvet filled with white goose down from the region of Arzamasskie can be made to measure and personalized from an embroidery to your initials or room number. 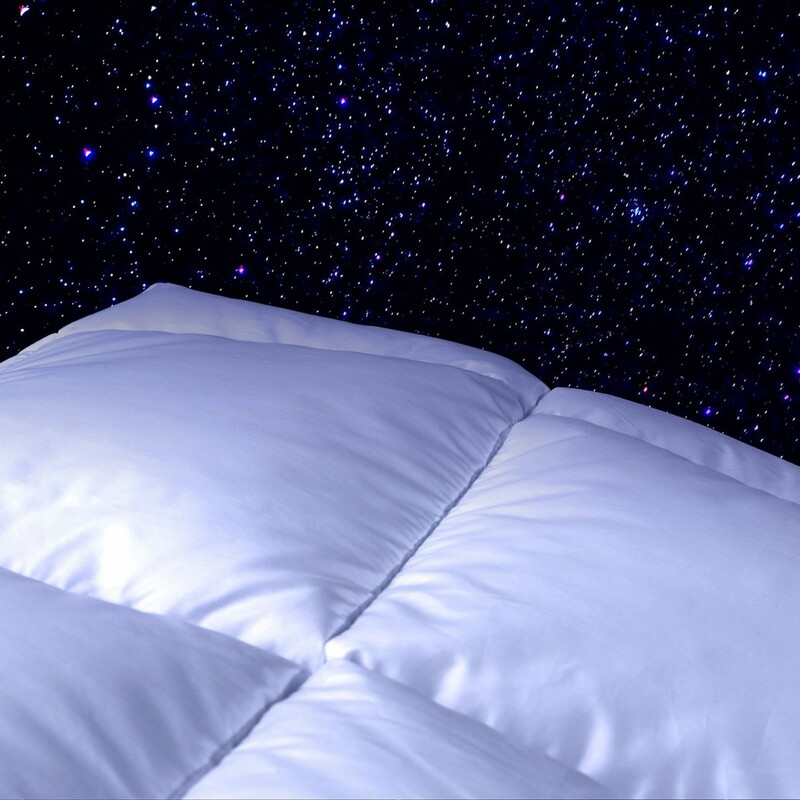 Delivery and return Your Millesime duvet Arctique will be shipped in 48 to 72h at your home or in relay point. Delivery in France is free. You have 14 days to return or exchange the product if it does not meet your expectations. Any tailor made product (embroidery, specific size) will not be taken back or exchanged and will require 5 working days of manufacturing time. Murmansk White Arctic Goose Duvet is a Haute Literie® product. As a high-quality product, the Arctic white goose Millésime duvet is characterized by an exceptional down filling which makes Dumas Paris the reference for Haute Literie®.